Smoked salmon in one of my favorite ways to enjoy fish. It’s ready to eat without any prep, so whenever I’m short on time and need to whip up a meal, smoked salmon is often my protein choice. So whenever I see it on sale, I tend to buy too much. And after one such time, when the date on the remaining packages was a day away, I decided to do a bit of research on shelf life and storage of smoked salmon. This article is what I learned and found helpful. Hope you find the info I provided useful. 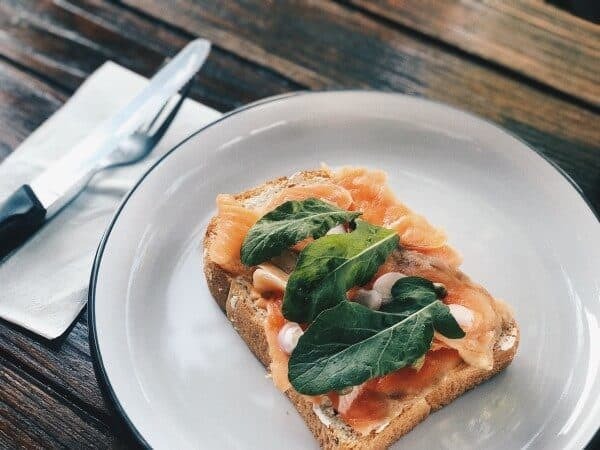 Without further ado, let’s talk about smoked salmon, and let us start by talking about how to tell whether yours is still okay to eat or not. Can Smoked Salmon Go Bad? How To Tell If Smoked Salmon Is Bad? It won’t come as a surprise that smoked salmon spoils. And telling if it’s still okay to eat is usually pretty straightforward. First of all, look for any visual cues that the fish is done for. It technically can go moldy, but that’s likely to happen only after you’ve opened the package and stored it for like 10 days. Typical signs include a change of color or the presence of slime. While some minimal discolorations here and there are okay, if large areas turned greenish or dull in color, it’s time for the salmon to go. Next thing to check is the smell. If it’s off, or just doesn’t smell like smoked fish, it’s probably bad, or at the very least its quality is past its prime. Please remember that smell is one of the factors that make food taste great, so if it’s off, that salmon surely won’t taste that good. If both looks and smell are alright, in most cases that salmon would be at least okay in taste. But if it’s nearing or past the date on the label by a day or two, give it a taste before serving it. Chances are there’s nothing wrong with it, but it’s better to be safe than sorry. Speaking of dates, if your typical smoked salmon is more than about 5-7 days past its date, it’s time for it to go ([ASF]), even if it’s still unopened. Technically it could still be okay, but I think there’s no point in risking it. And if you always find yourself with out of date smoked salmon, try buying another brand or variety that has a longer shelf life. Because yes, not all smoked fish are made equal, and some of them last much longer than others. Let’s talk about that in more detail. At first, I thought that all smoked salmon is pretty much the same, and lasts around two to three weeks of packaging. But thing’s aren’t as simple. 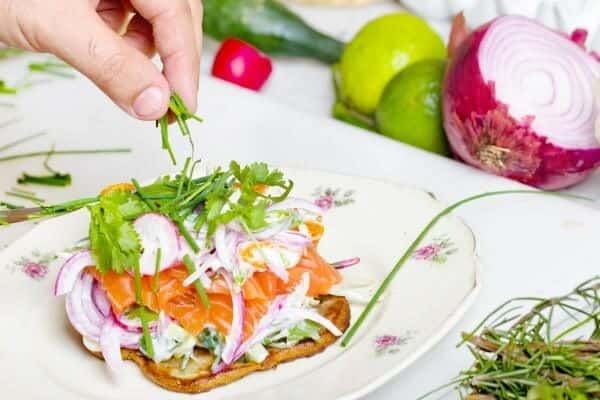 Of course, your typical smoked salmon will have a shelf life of about 21 days ([KSS]), but there are other options like honey smoked salmon that can last up to 90 days unopened ([HSF]). There’s even the Sea Bear’s smoked salmon that they claim has a shelf life of 4 years if the package stays intact ([SB]), although I would be quite hesitant to keep it around for that long. So if you always seem to find yourself with old smoked salmon, try testing a different variety that comes with a bit longer shelf life. Fortunately enough, all smoked salmon comes with a sell-by date on the package, so you don’t have to remember which one lasts how long. And that date is a pretty good indicator of how long the fish will retain quality. Of course, the salmon most often keeps fine for a few days after that date, depending on its overall shelf life. So one with a 3-week shelf life should last a day or two past its date, but another variety with a 90 days storage period should keep for 5 days or maybe even a week. Keep in mind that these periods are only rough estimates. Once you open the package, the clock starts ticking. Once again, the time you have to finish the fish depends on the variety and the seller. Organic is often recommended to be consumed within 2 days of opening ([KSS]), while regular up to 5 days ([ASF]). 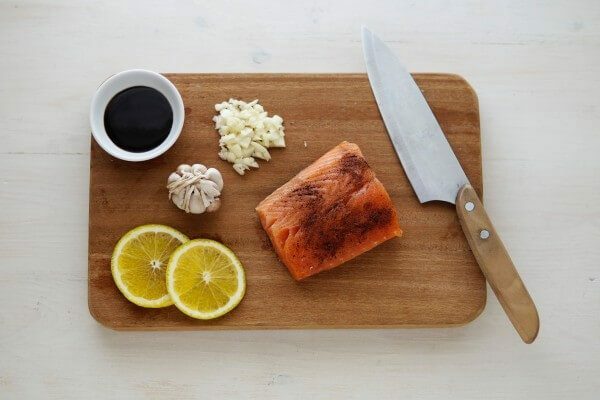 Honey smoked salmon can last even longer, up to 10 days of opening ([HSF]). I tend to finish the package the same day I open it, or the next day at most, just to enjoy the best possible quality. Plus the packages I buy are rather small. Last but not least, let’s talk about storage methods. How To Store Smoked Salmon? I always thought that keeping smoked salmon in the fridge is the only way to store the fish (except freezing, of course). But doing the research, I was proven wrong. Sea Bear, the company that I already mentioned earlier, makes smoked salmon that you can keep at room temperature ([SB]) as long as it’s vacuum-sealed. I’m not sure how I feel about that, but I’m pretty confident they know what they are doing. But the vast majority of smoked salmon requires refrigeration ([KSS][HSF][ASF]), both unopened and after opening. Once you break the vacuum seal, make sure you wrap the leftovers properly before putting them back in the fridge. If you can’t get a decent seal or plan on keeping the leftovers for more than a day, using a freezer bag or plastic wrap might be a better choice. A good wrap is essential to keep both the moisture and smell inside. I mean no matter how much you love smoked fish, you probably don’t want your whole fridge to smell like it. As you already know, the shelf life of smoked salmon (in most cases) isn’t that long, and it’s quite short after you open the package. So if you need to keep the fish around for longer, freezing is the way to go. The short answer is: yes, you can ([KSS][ASF]). Smoked salmon freezes well and keeps quality for about 2 to 3 months while frozen, possibly more. When it comes to how to go about the process, there are two options. If your smoked fish is still vacuum sealed and you expect to finish the whole thing within a couple of days of thawing, you can freeze it as is. Just toss it in the freezer, and you’re good to go. But if you need only a small amount at a time, portioning the salmon would definitely help. So open the package or take the leftovers, divide into portions that make sense for your needs, and place each piece in a separate freezer bag. Make sure to squeeze as much air as you can from each bag before sealing them tightly. If you like to keep thing organized in the freezer, feel free to put all the bags in a single container to keep them in one place. Also, if you find it helpful, add a label with name and date to each bag. When it comes to thawing, the fridge is the way to go ([KSS][ASF]). Transfer the package there the night before you need it, and it will be ready in the morning. The signs of spoiled salmon include the presence of slime or noticeable discolored or dull surface areas, off smell, or bad taste. If either one is present, discard the smoked salmon. Observe the date on the label, and if it’s way past it, or you opened the package more than a 5-10 days ago (depending on the variety), get rid of the fish. In almost all cases both unopened and opened smoked salmon requires refrigeration. You can freeze it either in its original package if it’s still unopened, or divide into portions and freeze in freezer bags.